Say ‘I Do’ To A Platinum Giveaway! When you’ve found the one, you want the world to know. Platinum is the perfect symbol of your relationship – it marks where you’ve been and where you will go together. 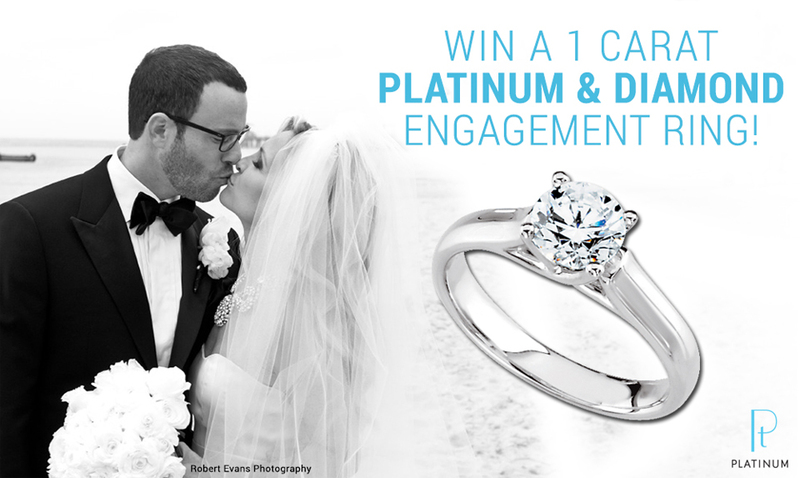 Enter now for your chance to win this stunning platinum and diamond engagement ring. Giveaway ends August 31, 2015. Winner announced September 9, 2015. Approximate retail value of prize: $5,000. By submitting, you agree to the Giveaway Terms & Conditions. One entry per person. Multiple entries will not increase chances of winning.